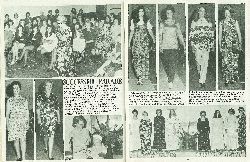 A very successful fashion parade was held in the Presbyterian Hall, in Cobden Street. 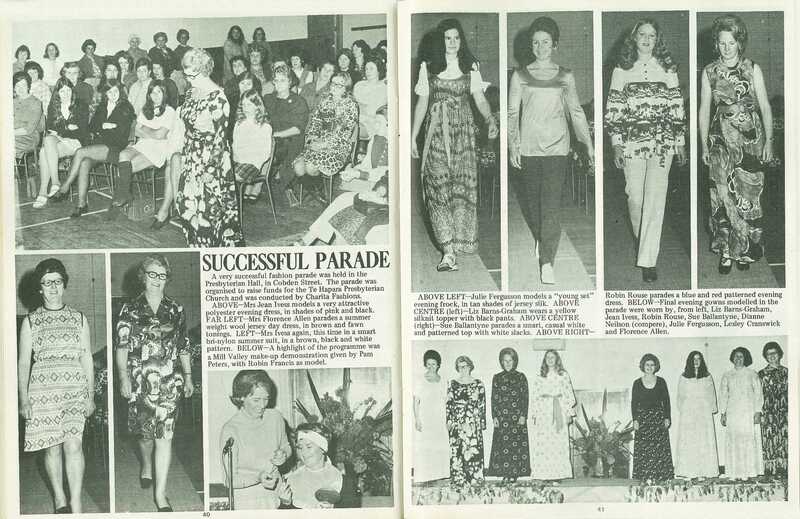 The parade was organised to raise funds for the Te Hapara Presbyterian Church and was conducted by Charita Fashions. Mrs Jean Ivess models a very attractive polyester evening dress, in shades of pink and black. 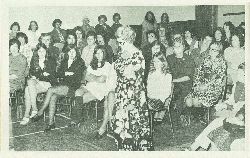 Mrs Florence Allen parades a summer weight wool jersey day dress, in brown and fawn tonings. Mrs Ivess again, this time in a smart bri-nylon summer suit, in a brown, black and white pattern. A highlight of the programme was a Mill Valley make-up demonstration given by Pam Peters, with Robin Francis as model. 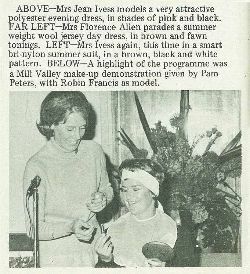 Julie Fergusson models a "young set" evening frock, in tan shades of jersey silk. Liz Barns-Graham wears a yellow silknit topper with black pants. Sue Ballantyne parades a smart, casual white and patterned top with white slacks. Robin Rouse parades a blue and red patterned evening dress. 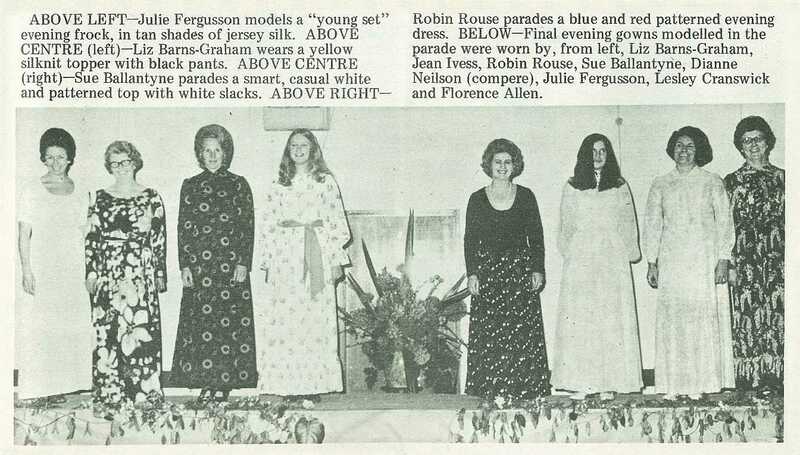 Final evening gowns modelled in the parade were worn by, from left, Liz Barns-Graham, Jean Ivess, Robin Rouse, Sue Ballantyne, Dianne Neilson (compere), Julie Fergusson, Lesley Cranswick and Florence Allen.